1. Go to the Client section > Client window > Main tab. 2. Select a required client and click Contact Info > Send (see Picture 1). 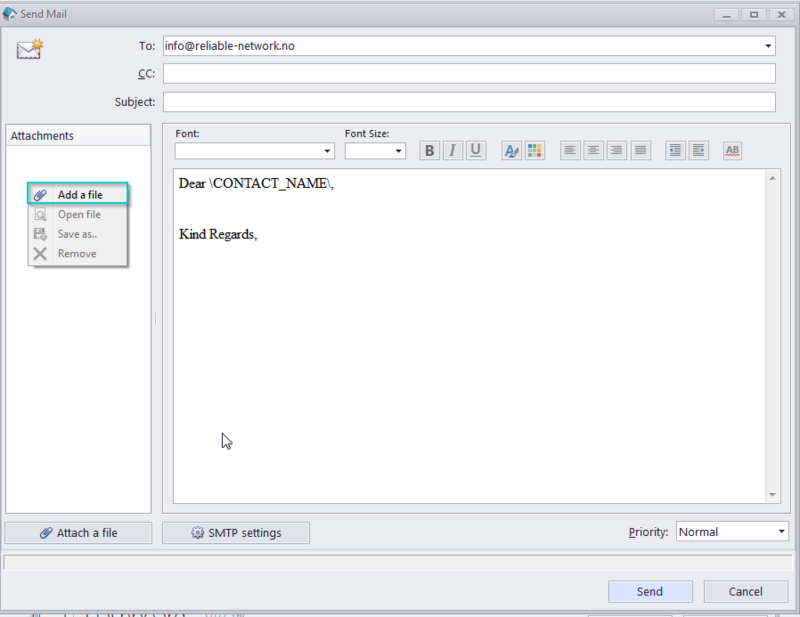 Then the built-in Mail sender with the client's e-mail included will be opened. 3. If you haven't configured the e-mail connection yet, clck "SMTP Settings" to do so. 4. If you want to attach some files, right-click the Attachments field and select "Add a file"(see Picture 2). 5. 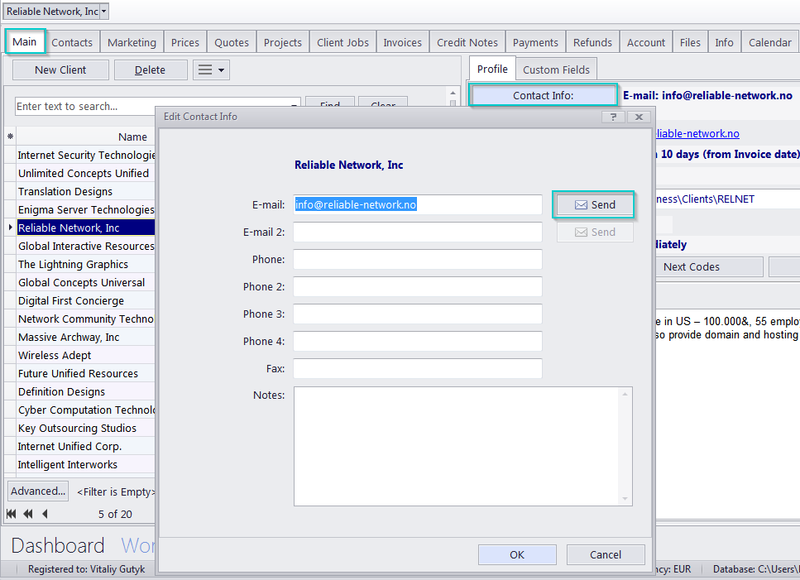 Input the required text and send the e-mail to a client.